Prezentare For the first time ever in a single boxed set, all of Stephen King's eight Dark Tower novels--one of the most acclaimed and popular series of all time--soon to be a major motion film starring Idris Elba and Matthew McConaughey. Set in a world of ominous landscape and macabre menace, The Dark Tower series features one of Stephen King's most powerful creations--The Gunslinger--a haunting figure who embodies the qualities of the lone hero through the ages, from ancient myth to frontier Western legend. As Roland crosses a desert of damnation in a treacherous world that is a twisted image of our own, he moves ever closer to the Dark Tower of his dreams--and nightmares. This stunning, must-have collection includes: The Dark Tower I: The Gunslinger; The Dark Tower II: The Drawing of the Three; The Dark Tower III: The Waste Lands; The Dark Tower IV: Wizard and Glass; The Dark Tower: The Wind Through the Keyhole; The Dark Tower V: Wolves of the Calla; The Dark Tower VI: Song of Susannah; and The Dark Tower VII: The Dark Tower. 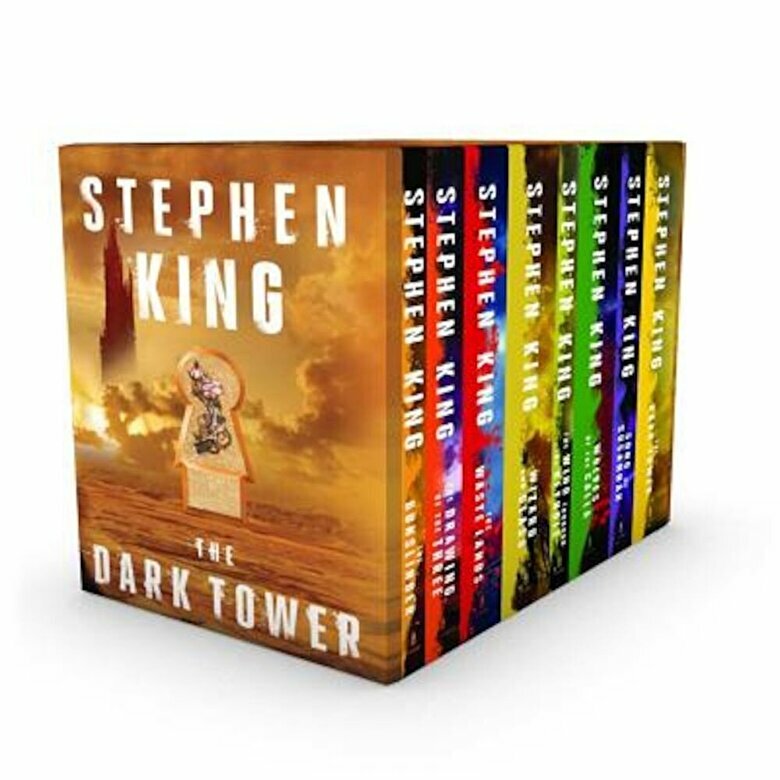 The perfect keepsake for Stephen King fans, The Dark Tower 8-Book Boxed Set is the most extraordinary and imaginative cycle of tales in the English language from "the reigning King of American popular literature" (Los Angeles Daily News).